Beautiful case and looks very long lasting. excellent as described, very pleased with it. Looks nicer than the pictures! Not used it as it’s a Xmas present but seems sturdy and well made. It is is a lovely product, quality materials and nicely made. I can't help but think that the ergonomics would have been improved if the magnetic tab had have closed front-to-back rather than back-to-front as I end up fiddling with the phone or else finding that I have opened it upside down. Bought this lovely leather phone case as a present for my husband. Looks great and fits perfectly would definitely buy again. My daughter is very pleased with her case. Super product. Well above the quality of many out there on the market. Excellent quality & prompt delivery. If the case is made of genuine leather, then it is of poor quality as it marks very easily. When credit cards are inserted, not an easy task as the openings are tight. This also makes it hard to remove the cards. With three cards in the holder there is quite a space left when you close the case. It is important that you have a screen protector on your phone to prevent scratches. 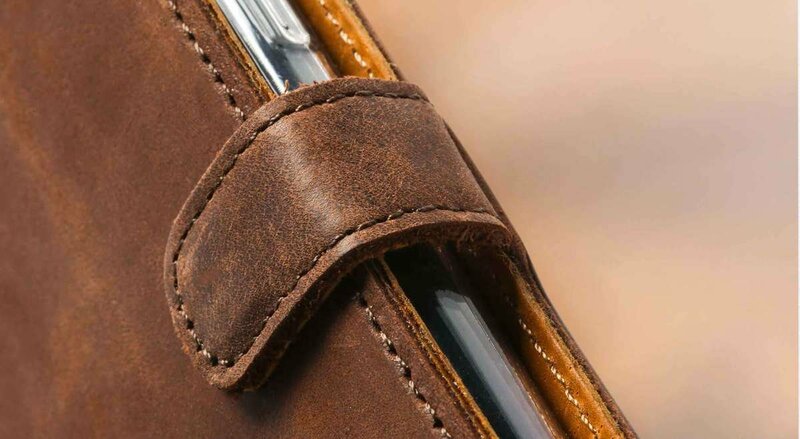 The vintage chestnut brown leather iPhone wallet case is superb to look at and to hold I doubt you could purchase a better made similar product. I am absolutely delighted with it Many thanks for an excellent product. Quality product - well made. Fast delivery. Good value. Great appearance. Well made. Very good quality leather case. Phone fits perfectly. Hi I liked this wallet case, but I think that one has to be very careful to make sure that the phone is firmly clipped into the case, i hang it around my neck and am not one-hundred percent sure its safe, but I can not think how to improve on the fixing. as a pocket case its just fine and very good looking George. A very good product which fits perfectly. This is the second one I have purchased and the quality is still there a year later. Excellent product .....I've had bucket loads of these things, I like nice things but work in an environment where things like iPhone's get buggered in no time, I've bought lovely versions 4x the cost of this but have worn out very quickly. The addition of card storage gives a massive impact resistance - with a different brand but similar design, I was 2 storeys up pointing something out to my boy out the window and lost grip of my phone which tumbled down bouncing off bits, to finally rest on concrete - we had to laugh assuming a new phone was needed - it was fine! The quality of this case is amazing, it's a nice object in itself before you whack your smartphone in. 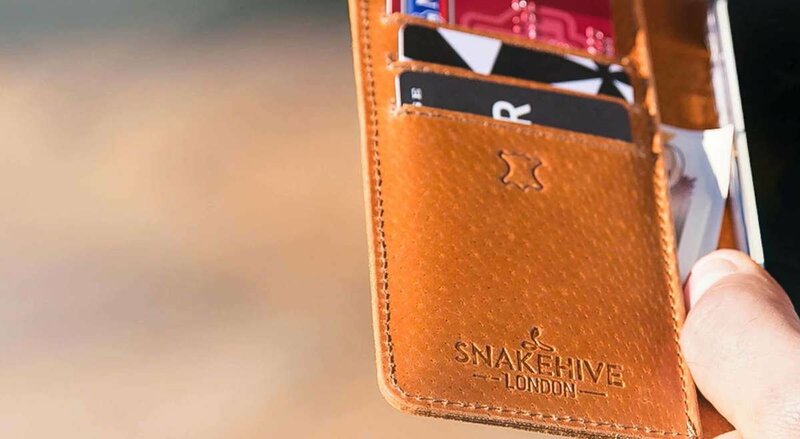 There's room for 3 cards and notes/wallet slot but ideally 2 cards - although the magnetic clip is excellent - am sure as the leather becomes more subtle it could yield a tad more comfortable storage. Awesome - have bought another Snakehive version iPhone for my partner and mother, they love 'em! . An good value for money product with excellent built quality and real leather look and feel. Very good,first class product. Quality material and very well made. Satisfied with the purchase and the price paid. Brilliant product, well made, I don't think I will ever need another case for my iPhone.